X Factor winners Little Mix will perform at the National Television Awards tonight. The awards, hosted by Dermot O’Leary, celebrate the best of British TV over the past year, and the results of a nationwide poll across 14 categories will be revealed. Little Mix – Jade Thirlwall, Perrie Edwards, Jesy Nelson and Leigh-Anne Pinnock – beat Marcus Collins and Amelia Lily in the X Factor final from Wembley Arena on December 11th, 2011. 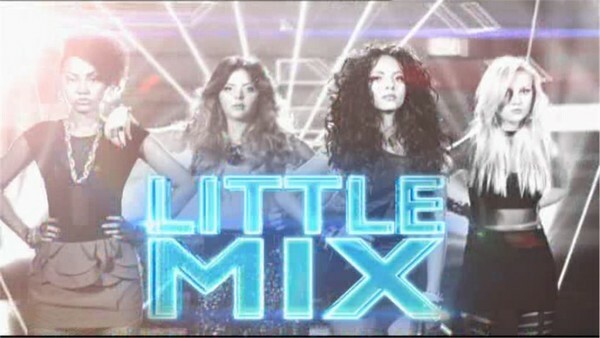 Jade’s mum, Norma Thirlwall, told the Shields Gazette‎: “The girls are really excited to be performing at the National Television Awards. “They have been working really hard for the past few months, attending a number of events and awards ceremonies. “They have been really busy since the beginning of January, and have been writing songs like mad. The 17th National Television Awards will broadcast live from London’s 02 Arena tonight, 7:30pm on ITV1.